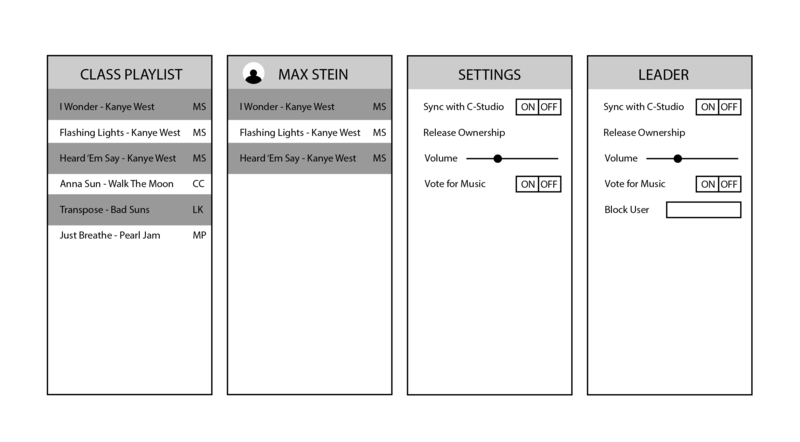 The studio music idea… still a bit lost on this concept. The ideas are beginning to flow as I prototype the interface of the website/application/finder window that I am designing. It’s a bit odd to think about because I thought that this could flow with Spotify as a drag and drop system. This means that Spotify has to take up a majority of the screen leaving only a small vertical window for the interface of the actual music player itself. I haven’t got around to prototyping the large wall screen and interaction because I think that I will be able to use some Wizard of Oz tricks to make it work well. 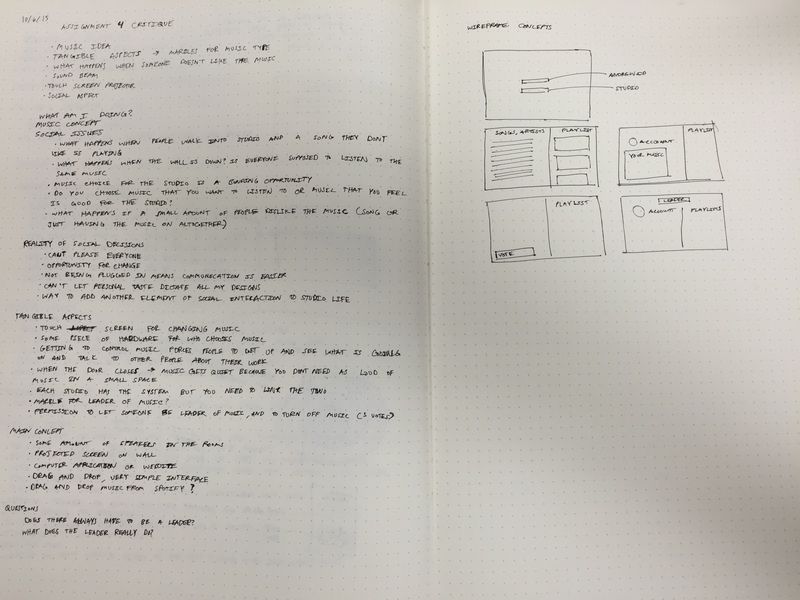 I do need to refine my wireframes obviously. I also need to decide what I’m going to sacrifice in regards to the social aspect of the space. I realize that some people will always be unhappy. I do find this an interesting project to work on and I’m trying to find motivation because I feel a little burnt out already, but as soon as things start to click I know I’ll be able to finish this project strong.